Even before the official release, the concept design and rendering of the 2019 Toyota RAV4 is already hitting the media in full gear. It's sporty and sleek. More to it, the vehicle is currently undergoing testing. 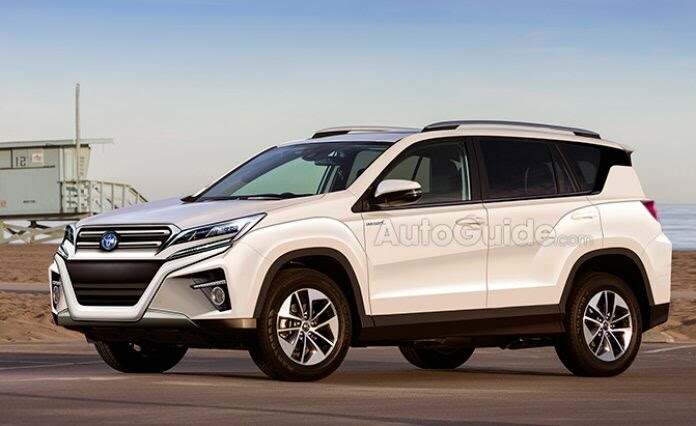 This image appeared on Autoguide and it depicts a more aggressive and stylish look for the next RAV4 SUV. It's no crime to say that the new RAV4's impress is generated from the styling found on the FT-AC concept. With sharper edges and streamlined body for very great aerodynamics, and a better ride height, the new RAV4 is a killer. It is expected to arrive by year end or even earlier. The new RAV4 is expected to ride on the Toyota New Global Architecture (TNGA) platform, which currently underpins several new Toyota models including the Prius, C-HR, and Camry. It would allow the RAV4 to take advantage of hybrid powertrains and efficient Atkinson-cycle engines. And if Toyota is looking to add a bit of off-road appeal to the RAV4, expect all-wheel drive to be available as an option.